﻿ Book Crowne Plaza Managua (Nicaragua) - 2019 PRICES FROM A$93! 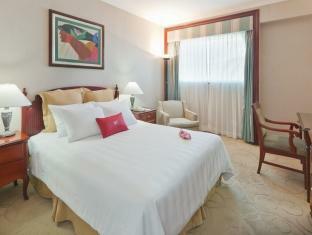 An outdoor pool, conference centre and air-conditioned rooms with free Wi-Fi can be found at the Crowne Plaza Managua. Situated 12 km from Managua Airport, it offers a free local area shuttle. Crowne Plaza Managua is designed in the style of a typical Mayan pyramid. 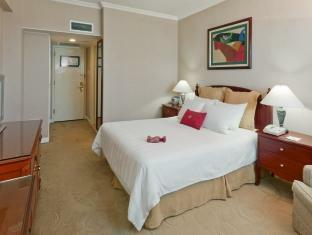 Its spacious rooms overlook Lake Managua or the mountains. All include LCD cable TV, a coffee maker and minibar. The Los Continentes restaurant offers international cuisine and a varied daily breakfast, including brunch on Sundays. You can also enjoy meals outside on the terrace. 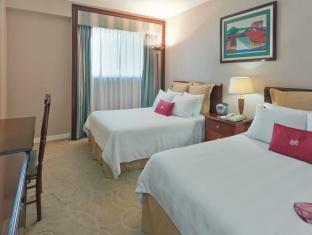 The hotel is just 2.5 km from the historic centre of Managua. Free parking is available on site, and staff can provide information about the local area. my stay was really nice. the room was fine, the bed great. the stuff very supportive. my shuttle from the airport didn't came but they organised another one within 10 minutes. Shopping mall across the street. the only issue we had, was that the hotel did not accept the agoda voucher: they claimed that the creditcard number given by agoda could not be charged. furthermore they claimed they never had any business with agoda before. they give us (3 travellers) a complimentary drink, while they sorted this out. ultimately we could go to bed at 03:00 am... the breakfast buffet was excellent: we savoured all 'sabores locales' in one go!! we got a free breakfast buffet, while the agoda voucher clearly stated "breakfast not included". we only stayed 1 night on the way to and back from leon. All the amenities that you would expect of a quality hotel and wonderfully helpful staff. The hotel is certainly up to standard, close to the few attractions in the city, next to a (second rate) mall with a decent food court and a good muvie theater. There is an ATM in the mall that is convienient. The staff is exceptionally professional and friendly. The one disapointment I experienced at the Crown Plaza was the taxi crew. You can get a taxi for a third the cost if you just walk out to the street, and Walter, the taxi manager, is no better at understanding what you want than any other taxi driver. Make sure you know what you are paying for before getting in Walter's cab. Si tiene que ir a Managua no dude en utilizar este hotel.